My reading is slow, but steady. I’m still happily working my way through The MX Book of Sherlock Holmes Stories – Christmas Adventures while also reading two books by William Horwood for the upcoming pre-Christmas Friday Forgotten Book post. I finished Some Writer! The Story of E. B. 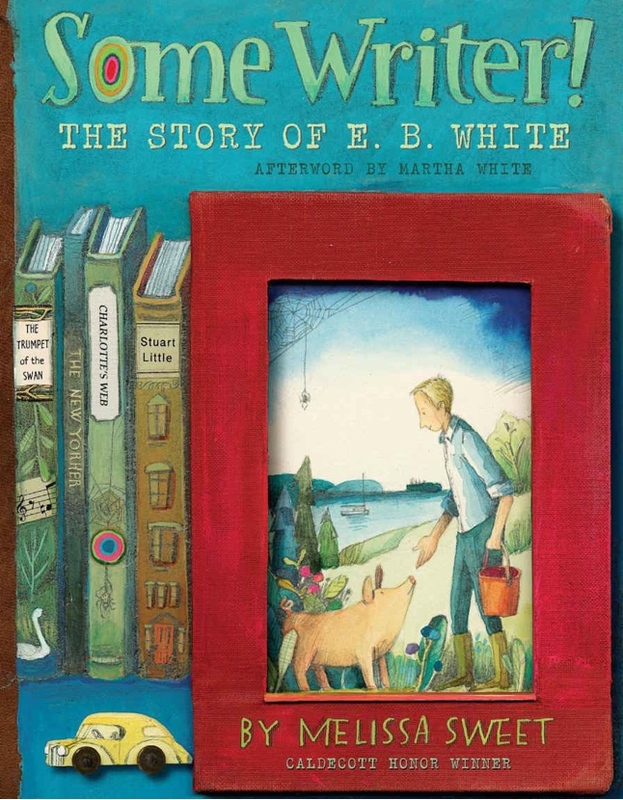 White By Melissa Sweet, (recommended by George Kelley) which was an enjoyable, quick, young reader overview of White’s life and writing. Now I want to re-read The Letters of E.B. White, which I have on the shelf. I also have three books from the library sitting here, only one of which can be renewed, and another there waiting to be picked up. Barbara has finished a Reacher novel, Personal by Lee Child and has started Those We Left Behind By Stuart Neville. She says she’s doesn’t know anything about it, or why she put a hold on it, but will soon find out, we suppose. A week until Christmas! The holiday is rushing toward us with the usual urgency. We’ve both finished shopping, though due to weather (see previous post) some items are still “in transit”. The tree is up and partly decorated, my share of that mostly undone. We have, however baked Christmas cookies, which was fun. So has been eating them! Richard, the E. B. White letters sound interesting. I hope you get to reread them soon. 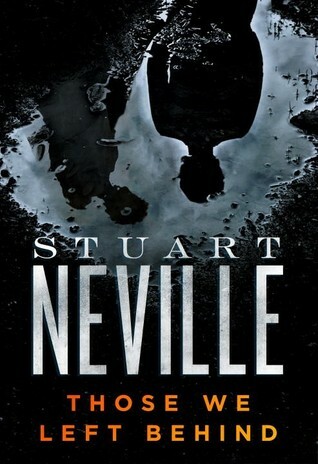 Barbara should enjoy the Neville; he’s a solid, consistent writer. I only finished three books this week (John Connolly’s THE UNQUIET, Marcia Muller’s DEAD MIDNIGHT, and Bill Pronzini’s SON OF GUN IN CHEEK) but I made healthy dents in three others. Roald Dahl’s COLLECTED STORIES contains all of his adult short stories except for two fables and includes his early World War II flying stories, the sardonic and twisty tales his reputation was built on, and his the delightfully misogynistic Uncle Oswald stories. The ESSENTIAL DAREDEVIL, VOLUME 4 contains over 30 issues of the Marvel comic book circa 1971-73. Wordy, melodramatic, and angst-y, DD still remains a favorite Marvel character. The Chris Ware ACME collection is slow-going but extremely worthwhile. I’ll continue to make dents into these three and may even finish them this week. Also, I have three library books I’m eager to start (a Spenser, a Reacher, and a book of short Bradbury essays). Most likely something else will come along and lure me in. Kitty has come down with the cold from Hell and I have spent much of the week trying to avoid catching it. I don’t think my efforts panned out because my throat is starting to feel scratchy. the great thing about our marriage is that we never get sick at the same time, which means that she gets to take care of me when it’s my turn…and I am a demanding, impossible patient. Have a great week, my friend. Stay warm and safe. The last part of your comment strikes home as I’m in the 2nd or 3rd – not sure – day of chest cold, with coughing, light-headed, nausea, and feeling very tired. So far I’m only whimpering, though I also am a lousy patient. I’ve read the Pronzini, none of the others. Despite a pile of library books waiting to be read and lots of Christmas-related activities, I spent the weekend happily downloading freebies for Kindle from Open Road Media (sale is still on through tomorrow, the 20th). Then I checked out some classic, out-of-copyright authors and ended up downloading some Balzac and Zola. I read Balzac’s novella (really more of a short story), SARRASINE, about a sculptor who falls in love with an Italian opera diva, unaware that “she” is actually a castrato (shades of The Crying Game!). I’m almost finished with Carrie Fisher’s THE PRINCESS DIARIST, about the filming on the first STAR WARS movie 40 years ago. It’s full of Fisher’s trademark wit and self-deprecating humor, but I couldn’t make it through the excerpts of the journal she kept during that time (when she was having an affair–if you can call it that, I’d be tempted to call it something else, but this is a family blog–with Harrison Ford): very few 19-year-olds have more self-awareness than self-indulgence, and Fisher is no exception. I read something by/about Carrie Fisher years ago, a autobio, I think, written not too long after she got out of a mental treatment facility (drugs). I don’t recall her affair with Ford, but my memory of the book was that it was just so-so, thus I may have just forgotten or skipped over that. I, too downloaded a buncha (technical term) ebooks too. What a siren song “free books” is. What Deb said, about Open Road Media. What I was mostly reading was Howard Waldrop’s excellent collection of (longish) stories, THINGS WILL NEVER BE THE SAME, which I also downloaded. Great stuff (“The Ugly Chickens” and “Do Ya, Do Ya Wanna Dance” come immediately to mind) and I’ll be reading more in the future. I’d previously only read his THEM BONES. Thanks to Steve O. for recommending him. I still have a couple of other library downloads and half a dozen regular library books waiting. Yes, I have that feeling more often than I’d like. I followed Bill’s directions exactly, but didn’t see, apparently, a lot of the things you did. Still I DL’d a ton of books. I have 3 library books sitting here and another waiting to be picked up at the library. Oh, I already said the in the post, eh? See my comment to Jerry about being sick. COFFIN ROAD by Peter May. Phil is reading BRIGHTON by Michael Stanley. I like Peter May, hope you enjoy that one. I read the Peter May and liked it. This week I read Potsdam Station by David Downing, the 4th out of 6 in this series. Aliwn Morning a SF novel by Rick Wilber. Am now reading IQ by Joe Ide, a first novel that is getting good reviews. Also dipping into some of Reggie Oliver’s short story collections. One of my favorite horror writers. Reminds me a bit of Robert Aickman. Also downloaded a ton of freebies: Michael Lewin(I have read these all a longtime ago) Some Algis Budrys and a lot of Richard Prather(don’t really remember liking him much, but hey, they are free. Of course I already have a ton of stuff on my kindle and rarely use it. Hard to believe we are in the final week run up to Christmas. December has rushed by. After seeing the book on SO MANY sites over the past several months, I sat down and read The Long Way to a Small, Angry Planet by Becky Chambers over the weekend. It had a few issues, but overall I thought it was fantastic and immediately dove into the sequel, A Close and Common Orbit and read over a third of it yesterday. Really pleased to have given these a chance. Darn, I wish you didn’t mention the sequel. That one has to go on the list too now. I liked ANGRY PLANET a lot. It is considered a “stand alone sequel” because it features a version of one of the characters from Angry Planet and Pepper, who made an appearance in the book. I really like the format of it, showing the one character’s efforts to acclimate to a different life while giving a very detailed back story for Pepper. As much as I liked Angry Planet, I think her writing has improved with this one. I have ANGRY PLANET on my “For Later” shelf at the library. After the first of the year, and when I’ve lowered the reading stack a bit, I’ll move it to hold status. And thanks for the mention of the “sequel”. I’ll add it to The List. Surely you saw that coming. So one last trip to make. George, just when you think you’re out, they pull you back in! Glad you enjoyed Some Writer! The Story of E. B. White By Melissa Sweet. I thought it was a very entertaining and well-conceived literary biography. You’re right: I should have expected more bureaucratic mumbo-jumbo. Just got Joe Lansdale’s ne book Dead On the Bones-a collection of pulp related tales. Saints preserve us, Charles. People need to leave classic characters alone!!! I highly recommend The Letters of E. B. White. I pored over that volume back in my college days. I still remember one particular exchange. There is a letter from a little girl who was curious about the open ending of Stuart Little and how concerned she was whether or not Stuart found Margalo, the bird. In his reply White tells her that “much of life is a quest” and that often we never find what we are looking for, but the adventure of looking is more important for we learn things about ourselves and the world along the way. He ends the letter with these lines: “Cheer up! Stuart may yet find his bird. He may even get home again. Meantime, he is headed in the right direction, as I am sure you are.” What a letter to receive when you’re young!